For millions of people across the world, acne scars are a daily reminder of puberty; that difficult period that everyone must go through and nobody wants to remember after it%u2019s over. As if it wasn%u2019t difficult enough, puberty can leave some scarred years after they thought they were done with all those annoying self-produced blemishes. The good news is that now, through medical and technological advancements, these long-suffering people can once again have beautiful and smooth skin. Rolling scars occur when the subcutaneous tissue that lies just below the surface of the skin becomes attached to one another. Treatment for this type of scarring requires the breaking up of the attached subcutaneous fibrous bands. Boxcar scars are oval or round shaped with sharp vertical edges. These can be shallow scars or run very deep. The deeper boxcar scars will more often require a treatment known as full-thickness. The shallower boxcar scars can be treated with less invasive skin resurfacing procedures. Ice pick scars are narrow, acute scars that can run deep and make the skin seem like it has been repeatedly punctured, as with an ice pick. Laser resurfacing and dermabrasion are usually the preferred methods of dealing with this type of scarring. 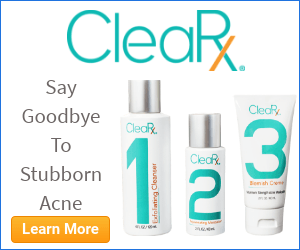 For milder cases, there are now a wide variety of topical creams and lotions that can be quite effective in covering and repairing shallower acne scarring. The important thing to do is to get the correct type of solution for your particular type of skin. A physician or dermatologist can be very helpful in determining what kind is the appropriate one. There are several treatment methods that have become available over the past few years. Consulting a dermatologist or similar specialist will help determine which would be the best option. Dermal fillers are injections in the skin that cause the surface of the scars to rise which gives it an even look as opposed to a rough pitted appearance. Subcutaneous Incisions are what is used in the treatment of the rolling scars. A surgical needle is inserted under the skin and used to break up the attached subcutaneous fiber bands. This surgery is a little more invasive and can cause bruising in the affected area that goes away in about a week. The last, laser resurfacing, is a treatment that is used for a variety of skin problems in addition to acne scarring. Basically, a laser is used to burn the surface layer of the affected area. Depth of the laser is in accordance with the depth of the scarring. As the treated area heals, the burned layer of skin is replaced with a fresh, healed layer. If you are considering one of these treatments, it is important to do some research about which is the right and most efficient one. Of course, because people who are highly specialized do these treatments, any of these procedures can end up costing a good deal of money. You must decide which is the best for you and which one is the most conducive to your budget. Remember that there are lots of options out there, so don%u2019t be afraid to do some research and find out what works best for you. Natural home made whitening mask!